Today is #GivingTuesday, a national day of giving instead of buying. More than a gimmick to support charities, it should be a reminder of the generosity of Americans. Americans shelled out nearly $9 billion dollars for the past few days during Pre-Thanksgiving, Thanksgiving, Black Friday, Small Business Saturday, and Cyber Monday spending. This year, Americans spent $1.9 billion on Thanksgiving Day and another $3.3 billion on Black Friday according to Adobe. Counts are not in yet for yesterday’s Cyber Monday online spending bonanza, but by evening, shoppers racked up $3.39 billion – up 10 percent from 2016. #GivingTuesday bookends the nearly week-long buying spree on everything from televisions to toys. The narrative goes that Americans open their wallets to give to charitable and nonprofit organizations as a way to ease some of the guilt over all of the spending they did. 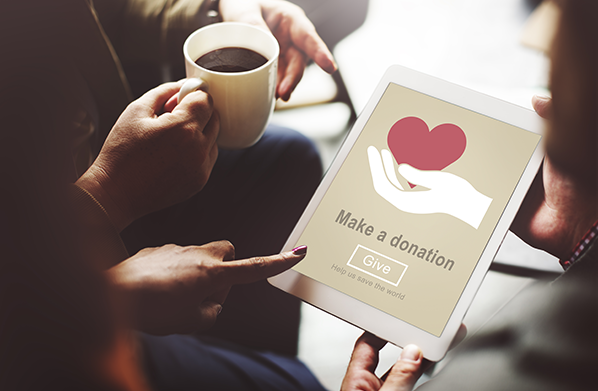 Started by a New York City nonprofit in 2012, #GivingTuesday is a social-media movement that draws attention to nonprofit organizations by tapping into the spirit of giving that’s so strong during the holiday season. While dwarfed by its older siblings, Black Friday and Cyber Monday, #GivingTuesday generated $117 million last year through over 1 million total gifts. The average gift size was $108 and even more was likely raised in offline donations. While #GivingTuesday is a feel-good holiday, we shouldn’t forget that Americans give tremendously and all year long. 2015 was America’s most generous year ever as individuals, estates, foundations and corporations gave a record $373.25 billion. Individuals led the way giving $264.58 billion alone. However, even that undercounts all of the money that Americans give. Gifts that are itemized on tax forms get counted, but many Americans take the standard deduction and we don’t necessarily know how much they gave. Then there is the spare change we drop into Salvation Army buckets or dollars we slip into buckets for local sports teams looking to raise funds. Americans don't just give to soup kitchens and animal rescue centers. We give to colleges and universities, public policy think tanks, international affairs, churches and more. If you think that the drivers of individual giving are only the headline-grabbing gifts from the very rich such as Bill Gates and Warren Buffett, you’d be wrong. Apparently, more Americans give than vote. #GivingTuesday is a nice reminder to give, but we should be giving all year long. And as numbers demonstrate we certainly do.